Brunton Racing is excited to offer the opportunity to get involved in this impressive colt by NZ Champion Dundeel. 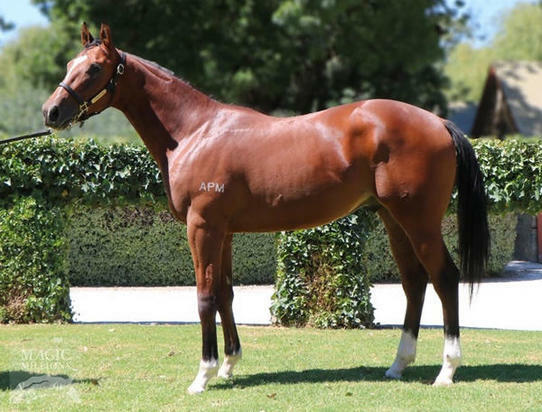 Purchased at the 2017 Magic Millions Sale for 90k this well bred colt is a real eye catcher in the mould of his famous father with great confirmation and a lovely free flowing action. Dundeel is a six time Group 1 Winner accruing over $5.3 million in prizemoney, winning at Group 1 level from a range of 1200m -2400m with his offsprings average sale price of 140k throughout Australasia. This magnificent colt hails from a great South Australian family littered with Black Type including his dam Gift Bouquet and siblings Blahnik,Elysees and Petman. He has been sent to Victoria for the breaking in process and will be given every chance to start as a two year old before hopefully developing into a classic contender at three. Hello, I'd like to know more regarding the horse 'The Inevitable' you have listed as available.